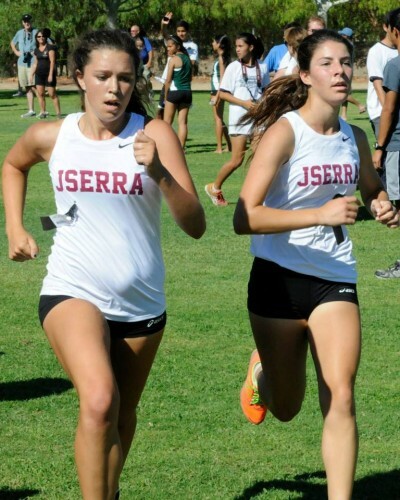 Marty Dugard has resided over one of the most dominant girls cross country teams in CIF history. The Lions have won the Trinity League, CIF-SS and CIF State Cross Country Division 4 Championship a record three consecutive years. It’s a stretch that has been unparalleled and Dugard believes that the Lions still have fight left in them. When asked about his outlook on the 2013 season, Dugard responded with something that might seem like hyperbole. But when looking at the team’s track record in recent years, it’s a statement that looms large. A key piece to the girls team’s hopes at another string of titles will be junior Ashley Geisler, who recently suffered a stress reaction but is on the mend and rehabbing. Geisler finished 14th overall at the state meet in 2012 and played an integral role in the Lions tight, top of the rotation placement in races, which became their trademark. Dugard pegged sophomore transfer Charlotte Owen as a runner who will help add depth to the roster and could possibly have a breakout year. The boys cross country team may not have a runner who will finish on the podium week in and week out, but they have developed a tight pack running mentality over the offseason, which Dugard believes will give them an edge in the major meets. Dugard said his current top five runners are all finishing their races within 45 seconds of each other. Dugard stressed that on any given day, it can be senior Nic Fracassi leading the way or it could be junior Anthony Mariconda. The Lions’ first real test on their way to their lofty goals will be at the Trinity League Prelims on October 2.